You must make reservations at least 5 minutes in advance of the time at Sabor Restaurant. LUNCH: Mon. - Fri., 11:30 a.m. - 2 p.m.
DINNER: Mon. - Sat., 4:30 p.m. - 10 p.m., Sun. 4:30 p.m. - 9 p.m.
BODEGA: Mon. - Fri. from 4:30 p.m., Sat. & Sun. from 4:30 p.m.
We are available for private events outside of regular hours. Wine corkage available: $25/750ml bottle. Specialty cakes happily created in our kitchen for your event with minimum one-week notice. No other outside food or beverage permitted (including special occasion cakes). Open and covered lots are available immediately across the street as well as on the blocks surrounding the building. Heated parkades are located at the kitty corner underneath the YMCA and across the street in Edmonton City Centre. Street parking is available directly in front of SABOR. Sabor Restaurant Presents live music Friday and Saturday evenings. Some of Edmonton's best musicians can be heard tickling the ivories or playing Classical or Jazz Guitar for your listening pleasure. Christian Mena (co-owner) has been known to croon on occasion. 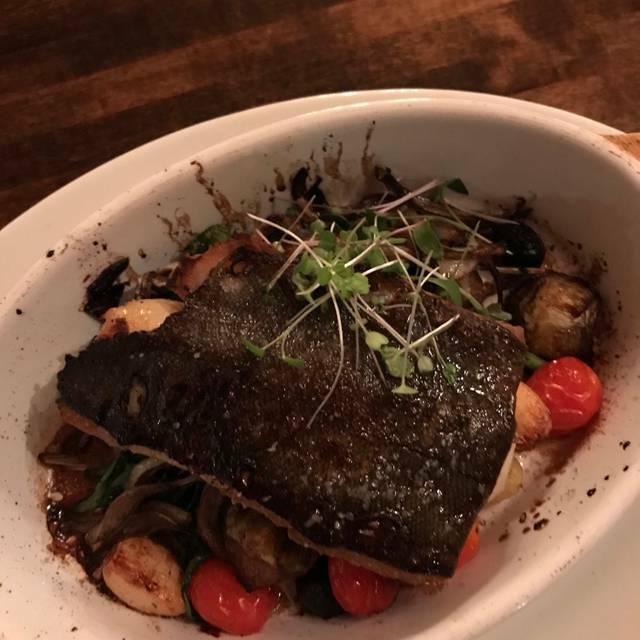 SABOR Restaurant provides a rustic yet elegant atmosphere and a menu rich in European tradition—Portuguese, Spanish, French & Italian—in the heart of Downtown and the ICE District. OceanWise certified, we offer Edmonton’s best, most-sustainable seafood menu as well as a meat & vegetarian options. Professional staff, a trim but superlative wine list, hand-crafted cocktails, and SABOR’s menu & atmosphere make it the perfect spot—be it in evening wear before the opera, a suit before the big meeting, or in jeans hanging out with friends. Friday & Saturday evenings feature live music by one of Edmonton’s talented local musicians. 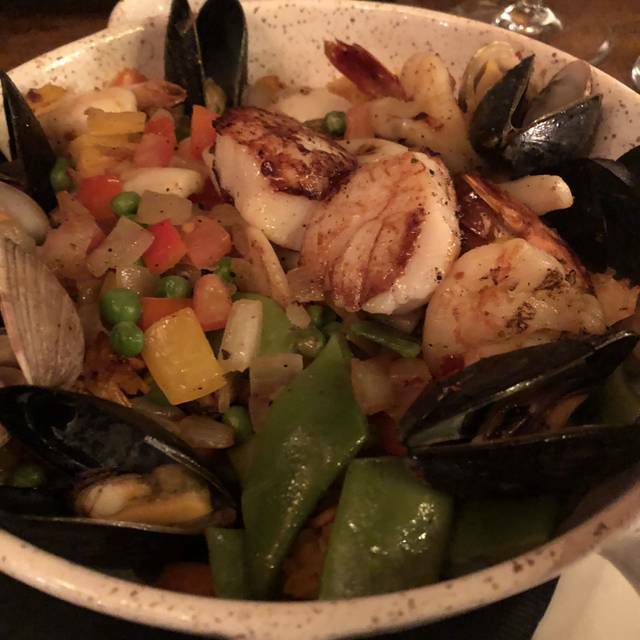 BODEGA Tapas Bar is a casual setting seated on a walk-in basis only. 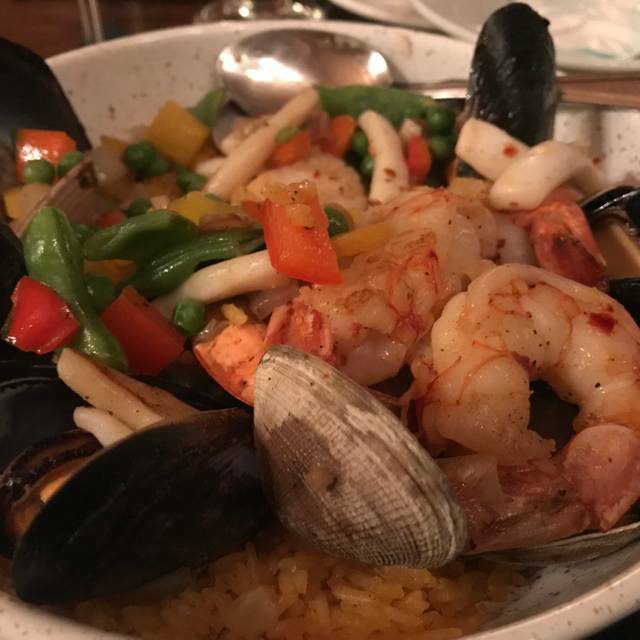 A great stop before or after a movie or show at one of the nearby theatres, BODEGA serves authentic tapas, our signature Sangria, and superb wine & cocktails. We had a wonderful dinner at Sabor! The food was delectable and the service was outstanding!!! Lunch menu was limited vs the evening menu which is typical. Recommend evening choices. Service was ok, but they we’re rearranging tables so quite noisy. Our waiter was part of the moving team, so his attention was elsewhere. It was so cold in the restaurant but the service was great. The busser kept giving suggestions for food and it was so sweet. He and the server was quite personable. Amazing food and service as usual. 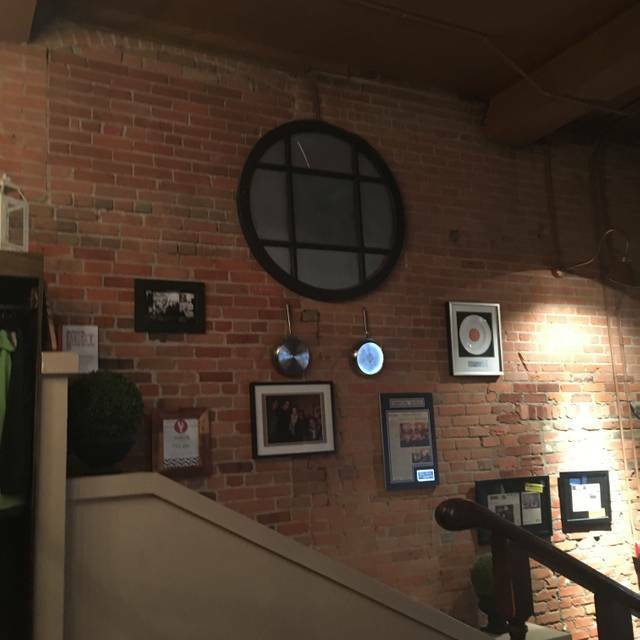 Top 10 restaurant in Edmonton. We had the chef’s special. Best value for all th food you receive. Excellent quality, flavour, service, atmosphere. Love coming here. Wonderful meal. We had the seafood course special and it was great. Very good value. One of us requires gluten free food and they were very knowledgeable and the menu is very adaptable for gluten free eating! Great humans and great food. Everything was perfect and staff are amazing. Thanks to all. as we sat in the north annex room, there was a large amount of bass coming from the basement nightclub. this was rather distracting. Great place for a date night. Got lucky with a parking spot across the street. I wouldn’t bank on getting a spot that close again. Been here once before in a double date, and now just the two of us. Service was great so was the food. It’s a tad on the pricy end which we were expecting so no major complaint from us. Food was amazing little salty but fresh and juicy. Service was also great, our waitress, Ashley, was very informative and attentive. Fantastic food and outstanding service! Will be back for sure. Best food I’ve had in Edmonton! Our new favourite restaurant! Service was fast and friendly. We did the family style option, amazing value for fresh delicious seafood! 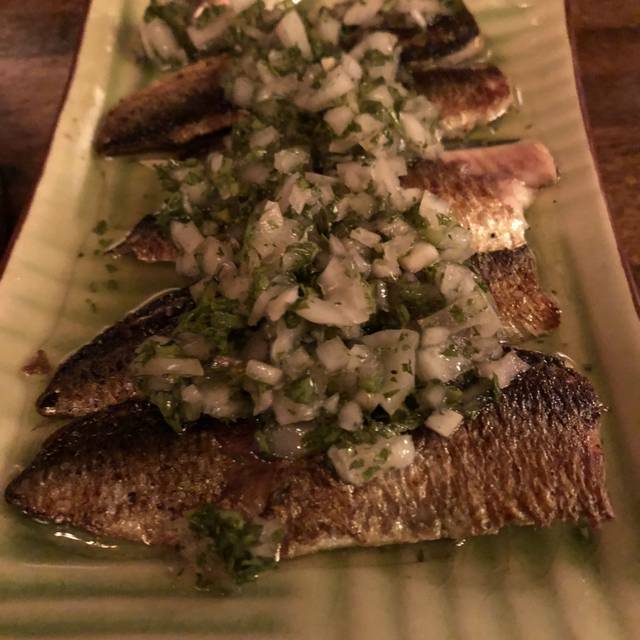 Absolutely loved the food, the environment, and the experience we had! One of the best dining experiences in Edmonton. Started off with oysters, caviar and sardine pâté. Finished with lamb and a cheese plate for dessert. Our server, Gigi, was elegant, professional and gave excellent wine and cheese suggestions. The entire experience was flawless from start to finish and it’s nice to see this caliber of service and restaurant still remains in the city. Amazing amazing night. Jose was THE BEST waiter, over the top! Live music was spectacular. Will never stop recommending this place, hands down my favorite restaurant in Edmonton. Food and service were excellent. Ambiance is wonderful - lively but very tasteful. The background music by the guitarist takes one to Spain or Portugal. We were happy to not be in the main room because it was VERY noisy. Our table was perfect and we had a great meal. Absolutely amazing dinner tonight at Sabor! I highly recommend this place to anyone looking for top notch seafood and steak, excellent service (thank you, Kim) and great ambiance! One of the best seafood restaurant in Edmonton! We had the Family Style Feast which was amazing from the appetizer down to the desserts. Sable fish just melts in you mouth and the mussels & clams in a saffron based sauce was excellent. Our server was very good as well. A simple gesture of ensuring my water is topped up all the time shows her attention to detail and willingness to please. 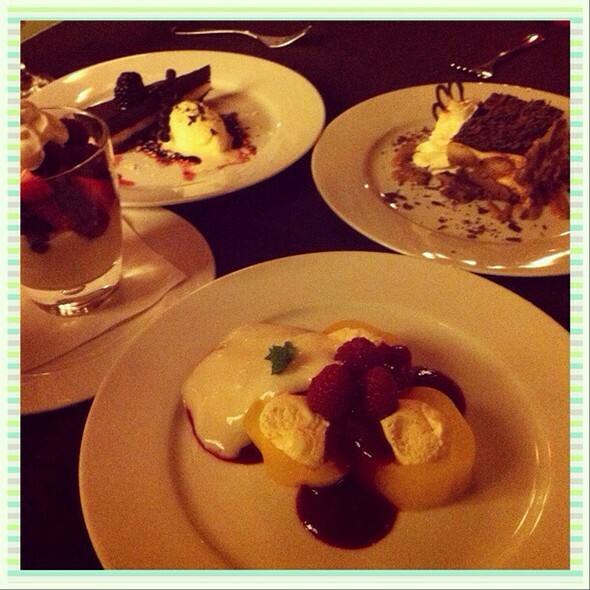 We are from out of town and enjoyed our experience and the delicious food! AMAZING FOOD AND SERVICE WAS GREAT!!! We were visiting from the United States and someone recommended this restaurant. Just the best food, atmosphere and service. It’s was a wonderful evening for a first date. The service was very good and the food was okay, which was a little disappointing based on the pricing. The majority of the food was above average but the one thing you would think spectacular is steak and this one was a six out of ten. The cut of meat was rib-eye but it was trimmed very poorly, at this level this is not acceptable. My first time at Sabor and i will give it another try. It was AMAZING. Hands down one of the best restaurants in Edmonton- I would dare even say Canada. Excellent all around. The live music was also amazing! Always dazzles. We’ve never had a bad meal here...It’s our absolute favourite and we keep coming back. Great portions, warm service, the best seafood restaurant in the prairies. The service & atmosphere here are ALWAYS top notch. 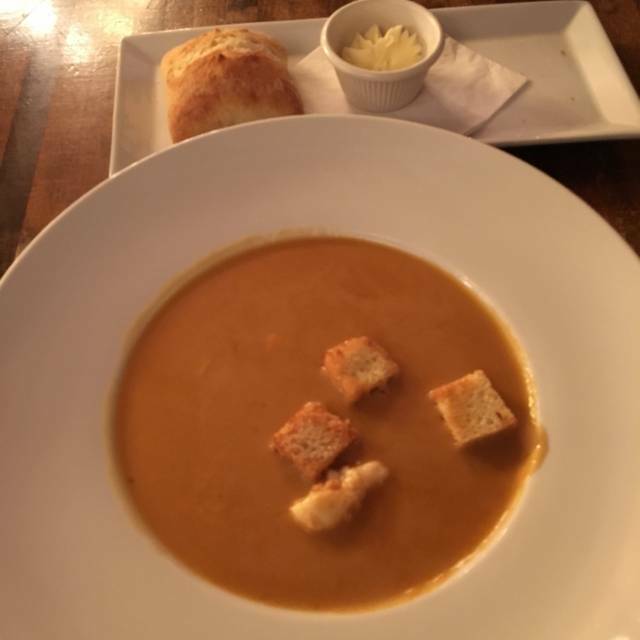 I don't think I've ever been here for dinner, but as I work downtown, I attend often for lunch and the quality of food for the price is fantastic! I had the lobster haddock risotto and it was the best risotto I've ever had! I would definitely recommend Sabor. I wish the waitress was little nice to us. She seems so grumpy and didn’t want to be there. But overall food was good. Excellent service. We did not have to ask for anything as our server anticipated our needs. Best lobster we have ever tasted! Seafood platter was delicious but huge. It’s enough for 3 people. Parking was easy even though it is downtown too. Highly recommend this place! I really enjoyed my expierence here and look forward to returning next time I am in town. The server was very informative when we were making menu choices. I loved the fresh oysters and seafood platter - way more food than we expected but had no trouble making disappear! We were greeted promptly and seated immediately. The kitchen is open to the guests so some of the cooking aromas created by the kitchen drift into the seating area. Could be a good or bad thing depending on your smell senses. Server greeted us soon after seating and wished us a happy anniversary. Fresh delicious bread was brought to the table. We shared an order of fried calamari. Cooked perfectly and very tender. 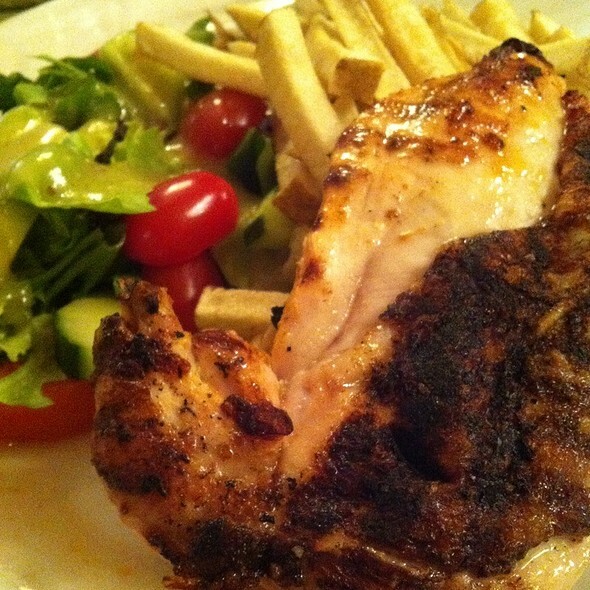 We ordered the piri chicken and the catch of the day. 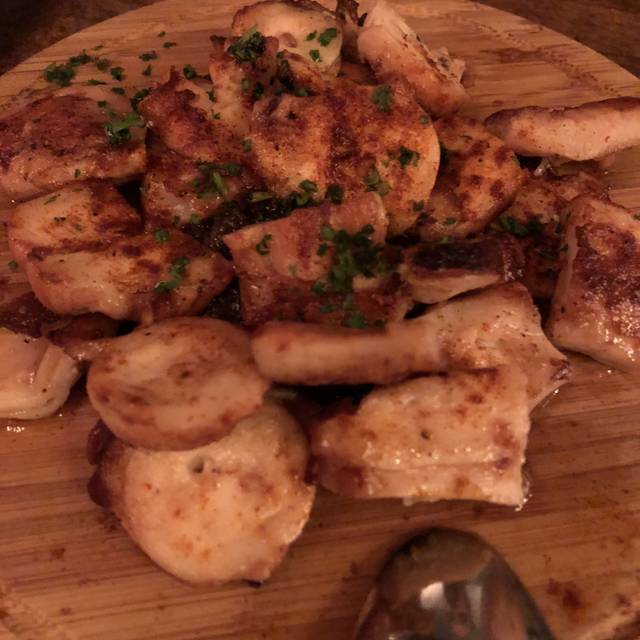 The chicken dish was cooked perfectly, tender and tasty. The catch of the day was lobster risotto with sole and char. Perfectly cooked and delicious. Finished the meal with decaf cappuccino and a delicious tiramisu that was large enough in portion to share. Great service, great food at reasonable prices. It was Monday night and the restaurant was full. Have been to this restaurant many times over the years and it is consistently outstanding.